At the Congregational Church, during the past week, there have been given a course of lectures which in nature much resembled the Religious Parliament which has just been completed. The lecturers were Dr. Carl van Bergen of Sweden, and Suami Vivekananda, the Hindu monk. ... Suami Vivekananda is a representative from India to the Parliament of Religions. 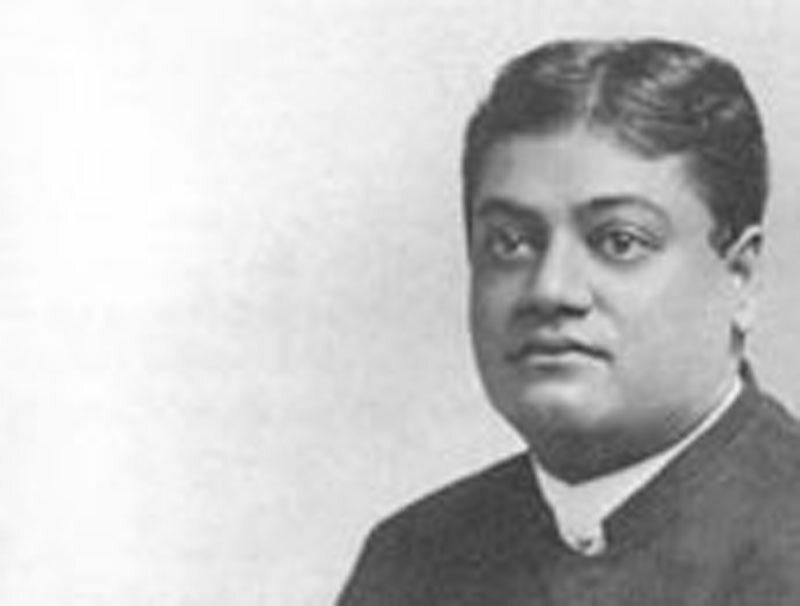 He has attracted a great deal of attention on account of his unique attire in Mandarin colors, by his magnetic presence and by his brilliant oratory and wonderful exposition of Hindu philosophy. His stay in Chicago has been a continual ovation. The course of lectures was arranged to cover three evenings. On Thursday evening Oct. 5, Dr. von Bergen spoke on "Huldine Beamish, the Founder of the King's Daughters of Sweden," and "Reincarnation" was the subject treated by the Hindu monk. The latter was very interesting; the views being those that are not often heard in this part of the world. The doctrine of reincarnation of the soul, while comparatively new and little understood in this country, is well-known in the east, being the foundation of nearly all the religions of those people. Those that do not use it as dogma, do not say anything against it. The main point to be decided in regard to the doctrine is, as to whether we have had a past. We know that we have a present and feel sure of a future. Yet how can there be a present without a past? Modern science has proved that matter exists and continues to exist. Creation is merely a change in appearance. We are not sprung out of nothing. Some regard God as the common cause of everything and judge this a sufficient reason for existence. But in everything we must consider the phenomena; whence and from what matter springs. The same arguments that prove there is a future prove that there is a past. It is necessary that there should be causes other than God's will. Heredity is not able to give sufficient cause. Some say that we are not conscious of a former existence. Many cases have been found where there are distinct reminiscences of a past. And here lies the germ of the theory. Because the Hindu is kind to dumb animals many believe that we believe in the reincarnation of souls in lower orders. They are not able to conceive of kindness to dumb animals being other than the result of superstition. An ancient Hindu priest defines religion as anything that lifts one up. Brutality is driven out, humanity gives way to divinity. The theory of incarnation does not confine man to this small earth. His soul can go to other, higher earths where he will be a loftier being, possessing, instead of five senses, eight, and continuing in this way he will at length approach the acme of perfection, divinity, and will be allowed to drink deep of oblivion in the "Islands of the Blest".